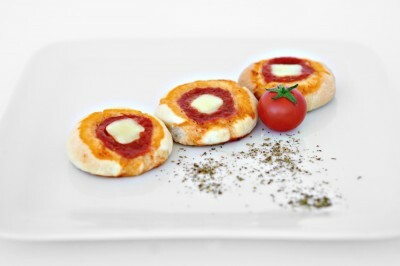 A fragrant yeast dough topped with peeled tomatoes, cut into small pieces and mixed with oil and a pinch of salt. Soft and tasty are the key ingredient for a successful party. Flour, baking bread, tomato, mozzarella, olive oil, salt.